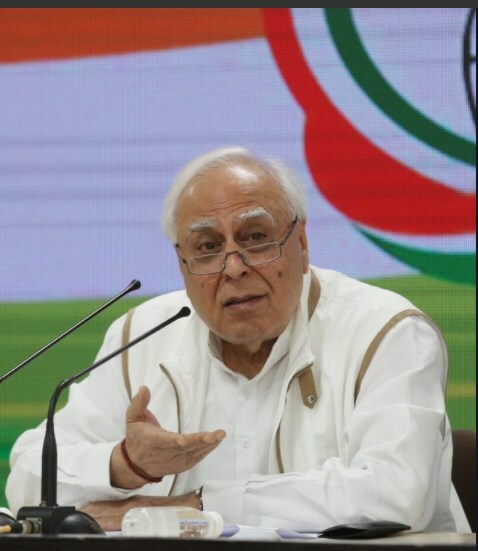 New Delhi— At a press conference on Tuesday, Congress leader and former Law Minister Kapil Sibal played a video purportedly showing an illicit currency exchange of Rs 500 notes for new Rs 2,000 notes by an official of the Research and Analysis Wing (RAW), two months after Prime Minister Narendra Modiannounced demonetisation in November 2016. It is my duty if something comes in the public domain to present it. It is my duty. It is the duty of any political party, right? To present it and tell the people of India what seems to be happening. And therefore somebody should take action. I don’t know. If this is a field assistant to do this exchange appointed by the Government of India, who is a law officer, then it can’t be done by individuals who are strangers to the government. He himself is saying this.